There are advantages to receiving lung cancer treatments in small clinical settings. Among them is everyone knows your name and treatment circumstances. Scheduled for a CT scan with contrast yesterday, when I checked in I was routed to the infusion area to have my IV device installed. Chris, the radiology technician who’s been scanning me for almost 14 years, is well aware of the difficulty of installing an IV. So he passes me to the infusion nurses who yesterday managed to capture a vein, first try! But, the infusion area was packed and so I had my device installed in proximity to the treatment complete celebration bell. In my day, the occasion was not a big celebratory photo op. 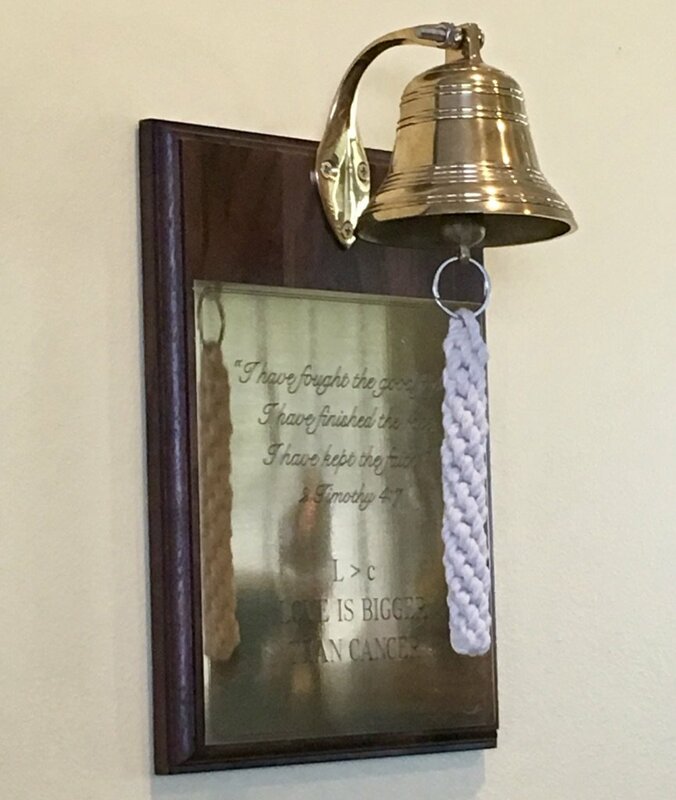 One would ring the bell softly because many were asleep during infusion. Consequently, I never got a photo. Yesterday’s photo will be added to my archives. It is shared with you because it took three rings to find life. Lung cancer is persistent. Treatment is often a marathon but one that can be won! Does anyone know of visual side effects of chemo? The last two infusions of navelbine, and neupogen shots after infusions, seem to have made me light sensitive and caused a number of weird symptoms in my eyes. Seeing eye doc this Friday.